Welcome to the ATF news page. Here you will find the latest up to date news on Thyroid health and treatment. These news pages are open to both members and non-members and provide information on managing your thyroid health as well as the latest events and medical updates form around the world. We also encourage you to follow us on our social media, as we often upload information there first. Our news pages are put together by our wonderful team of volunteers. As with every registered charitable organisation we are enormously thankful for the work of our volunteers, many of them with their own personal thyroid story. To assist us in keeping you up to date and to provide educational and support services on managing your thyroid health, we ask you to consider joining or making a donation. Your help really does make a difference as we operate entirely without any grants or government assistance. Thank you for your support and we hope you enjoy or news and social media pages. The Australian Thyroid Foundation (ATF) wants all Australians to be aware of their thyroid gland and their thyroid health, during May, which is Thyroid Awareness Month! The Thyroid Gland is a small bow-shaped gland, located in the front of the neck, below the voice box or larynx (Adam’s Apple) on either side of the trachea (windpipe). The thyroid gland produces hormones which give energy to the body’s functions and controls the body’s metabolism. When the thyroid gland does not produce enough thyroid hormone, the consequences cause the body to slow. When the thyroid gland produces too much thyroid hormone, the body speeds and neither of these reactions are desirable. Thyroid health is so important to the way people function and how their body functions, says Beverley Garside – ATF CEO. Thyroid Diseases can affect Australians from the very young to the elderly, with women affected more than men. When the thyroid gland is out of balance or diseased, everything from mental health, fertility, weight gain or weight loss and many other symptoms can be included. Family thyroid history, auto-immune disease and iodine deficiency can all be responsible for the thyroid gland malfunctioning, so please be aware! Thyroid cancer is affecting more Australians, with younger people being diagnosed. Proper early diagnosis and treatment is essential and the ATF support all current research that is improving outcomes for thyroid cancer patients. Iodine, from a daily intake of iodine enriched foods, support the thyroid gland production of thyroid hormones. Therefore be aware of replacing the salt you use with iodised salt, eating a diet which includes dairy, eggs, bread and seafood, all sources of ingested iodine. The ATF recommend all women of child bearing age should be aware of their thyroid function levels, family thyroid history and daily iodine intake. Thyroid function (TSH levels) and auto-immune disease testing (thyroid antibodies) are recommended to rule out a thyroid disorder during this life stage. Testing should be done as early as possible in pregnancy or prior to conception. Without enough thyroid hormone and a proper diagnosis, the pregnancy and foetal development can be affected. The ATF says, Do Not Overlook Your Thyroid Health and discuss any concerns with your GP or treating doctor. Awareness, correct diagnosis and then treatment if necessary are what’s needed to improve Australians thyroid health. 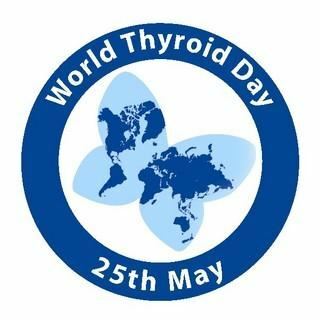 May is Thyroid Awareness Month in Australia, which incorporates International Thyroid Awareness Week 21 – 27 May 2018 and World Thyroid Day 25 May. The thyroid gland is a soft, small bow-shaped gland, located in the front of the neck, below the voice box or larynx (Adam’s Apple) on either side of the trachea (windpipe). Thyroid disease is usually caused by an auto-immune disease, which affects more women than men. Iodine deficiency is the most common worldwide cause of thyroid disorders. Along with auto-immune thyroid disease, a low iodine diet can cause hypothyroidism, an enlarged thyroid gland (goitre) and can affect fertility, pregnancy outcomes and foetal brain development. The Australian Thyroid Foundation Ltd (ATF) is a member based organisation, managed by volunteers and was founded in 1995. The ATF is now the peak advocacy and support organisation for Australians living with a thyroid disorder. The ATF is a national not-for-profit organisation with a focus on providing education and support to its members and promoting Good Thyroid Health messaging throughout the community. The ATF is a member of Thyroid Federation International (TFI), a world-wide thyroid patient organisation dedicated to global action of thyroid related issues. ATF Medical Advisor Professor Bruce Robinson and ATF CEO Beverley Garside spoke with Chris Smith on Radio 2GB – 873 AM about the ATF 2018 Thyroid Awareness Month and Thyroid Disease. Today at about 2.30 pm ATF Medical Advisor Professor Bruce Robinson and ATF CEO Beverley Garside will be speaking to Chris Smith on Radio 2GB - 873 AM about thyroid disease and the ATF Thyroid Awareness Month! 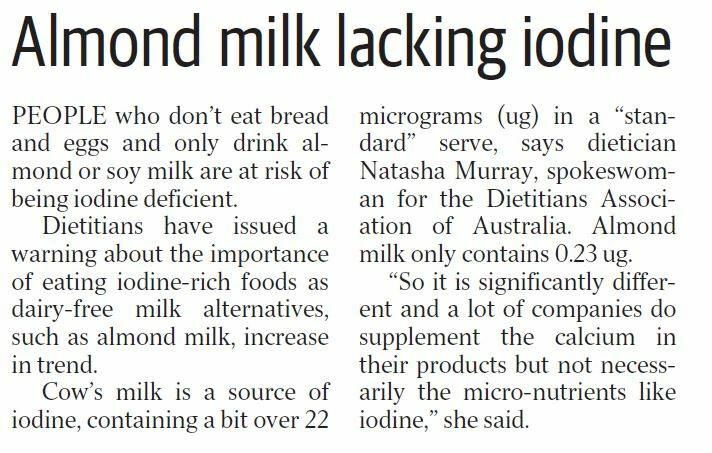 Last week, the Courier Mail published the attached story about the iodine content of almond milk. To protect your thyroid health, it is important to ensure you have a diet enriched with iodine. So dairy, eggs, seafood, bread (which includes iodised salt) and iodised salt are all ways to ensure you are receiving enough daily iodine through foods. For pregnant and lactating women, it is essential they include iodine in their daily diet, to protect the pregnancy, and the growth and development of the baby. A pregnancy supplement, including at least 150mcgs of iodine daily, is also essential for women who are trying to conceive, pregnant or breastfeeding. Ensuring their thyroid function is tested and adequate is also just as important. Womens Health Australia recently published an article on the common signs and symptoms of Hashimoto’s disease. "Hashimoto's disease is an autoimmune condition in which the body’s immune system attacks the thyroid gland. This leads to inflammation and destruction of thyroid tissue, reducing its ability to produce the hormones that coordinate many of the body’s essential functions. On behalf of the Australian Thyroid Foundation (ATF), we would like to congratulate our Chief Medical Adviser, Professor Creswell Eastman AO, who was awarded an Office of the Order of Australia (AO) as part of this year's Australia Day Honours list. Beverley Garside – ATF CEO was honoured to be invited to give a recommendation from the Office of the Order of Australia on behalf of Professor Eastman. Professor Eastman has always shown great support and interest in the ATF and in 1997 as Director of ICPMR at Westmead Hospital found office space within his department for the ATF to use, including all the facilities of the department. This was a most generous offer and helped the ATF to conduct its daily duties and hold regular committee meetings. The ATF office space continued until his retirement as Director in 2006. Professor Eastman supported the work of the ATF and promoted the organisation by inviting prominent Endocrinologists and Endocrine Surgeons to become Medical Advisors of the ATF. In 1999 the ATF honoured Professor Eastman with the title of Patron for the vast contributions he had made, and continues to make to the ATF. This included his continued research into Iodine Deficiency and the connection of Thyroid Disorders affecting pregnant women. This research has both proven to improve outcomes for future generations of Australian children and the Asia Oceania region of the world. Until recently Professor Eastman was the Director of ICCIDD for the Asia/Pacific region and the Chair of the ACCIDD. Both are respected as world authorities for Iodine Deficiency. In 2003, Professor Eastman invited the ATF to be part of the National Iodine Nutrient Study (NINS) which showed 50% of 8-10 year old school children were mildly iodine deficient. Further studies also showed 50% of pregnant women were also mildly iodine deficient. This research proved that without a daily iodine intake, the pregnancy and the developing baby can be impaired. Further research has shown that an adequate thyroid hormone level during this time is also important to this group of women and their pregnancy. Professor Eastman was instrumental in forming a committee, which the ATF was a member. This committee recommended The Food standards of Australia and New Zealand (FSANZ) decision in October 2009 to introduce Mandatory Fortification of Iodised Salt into bread making to help overcome iodine deficiency in Australia. From Professor Eastman research, The National Health & Medical Research Council (NHMRC) in January 2010 recommended all pregnant and breastfeeding women should ingest 250 mcgs of iodine daily through a pregnancy and breastfeeding supplement. Pregnant and breastfeeding women cannot possibly get the recommended daily intake of iodine from food alone, so it is essential that they take a supplement during this time. Professor Eastman has conducted Iodine Deficiency Research, in Tibet, China, Thailand and many other countries of the Asia Oceania region which has shown outstanding results in overcoming iodine deficiency. Many governments of this region have ruled that all salt manufacture must include iodine. Salt is the simplest and cheapest form of iodisation, which all humans use in their daily life and has proven to overcome iodine deficiency, goitre and cretinism in this region. In 2014 Professor Eastman was awarded the Health Promotion Princess Award by HRH Princess Maha Chakri Sirindhorn of Thailand. The award was presented to Professor Eastman for his outstanding research outcomes which he had completed in Thailand and improved iodine deficiency outcomes in Thailand. Professor Eastman is currently researching iodine deficiency and thyroid health outcomes in central Australia. This research is primarily looking at young Aboriginal women of childbearing years. This group of women usually do not have a substantial iodine enriched diet, which impacts on their health and their pregnancies. It also shows poor development and learning outcomes in their children. Iodine supplementation is being provided for this age group to assess and improve outcomes for future generations of children in this area. In 1975, Professor Eastman was one of the founding fathers of the Asia Oceania Thyroid Association (AOTA), the regional thyroid medical association. The AOTA brings together thyroid specialists and other associated medical professionals from this region and other parts of the world. Professor Eastman was instrumental in ensuring the ATF was invited to be part of the AOTA. As a Clinical Professor and part of the facility at Sydney University, Professor Eastman continues to teach Endocrinology to medical students of the university, with his passion, enthusiasm, and experience projecting onto his students. As CEO of The Australian Thyroid Foundation, I cannot think of a more deserving person to receive this award and promotion within the Order of Australia. Professor Eastman has made a lifetime commitment and contribution to improving outcomes of future generations of Australians and the Asian Oceania Region, through his iodine deficiency and thyroid disease research. His commitment to ensuring future generations reach the potential they were intended through his contribution to research is outstanding. On behalf of the ATF, I would like to congratulate Professor Eastman as I am sure all ATF members and supporters, many who have been under his care as their Thyroid Endocrinologist, will wish Professor Eastman the very best in receiving this reward from the Office of the Order of Australia. Here is a selection of the articles available in issue number 54 of "Thyroid News". Does every thyroid cancer need treatment? There are mixed messages in the media about thyroid cancer. On one hand we hear that thyroid cancer, which up until now, had been considered a rare disorder, has shown a dramatic increase in cases worldwide with a tripling of incidence in the USA. In Australia currently, of all malignancies documented in the national cancer registries, thyroid cancer is the most rapidly increasing in females. Please note you need to be a member to read these articles in full. Name change of active ingredient of Oroxine, Eutroxsig and Eltroxin to align with international terminology. Aspen Pharma has written to the ATF (letter included in the edition). The name of the active ingredient of Oroxine, Eutroxsig and Eltroxin has been changed in Australia to align with international terminology. Thyroxine will no longer be the name of the active ingredient, it will be now known in Australia as Levo-thyroxine, which is the international reference. Please be aware when speaking to your GP, Endocrinologist or Pharmacist. The ATF is a member of Thyroid Federation International (TFI), the worldwide thyroid patient support and educational organisation. 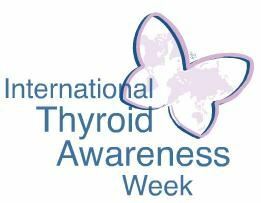 TFI Messaging for International Thyroid Awareness Week 2016 relates to Children and Thyroid Disease. Please head to our 'Children's section' on the ATF website and click onto the YouTube link below to view a video highlighting Children with Hypo and Hyper Thyroid Disorders. Thyroid News No. 52 - Out Now! Aspen, the pharmaceutical company that manufactures the only brands of thyroxine (Oroxine and Eutroxsig) that have been available in Australia has now introduced a third brand of thyroxine for therapeutic use. The new product with the brand name of Eltroxin is being imported and is widely used overseas, particularly in Europe. It has now been approved for use in Australia by the Therapeutic Goods Administration (TGA). Aspen claims that it is a new formulation and the big difference between Eltroxin and current brands is that Eltroxin does not need to be refrigerated, making it more convenient particularly for patients who may be travelling and needing to refrigerate their Oroxine or Eutroxsig medication. 10-15 years ago it was hard, very hard in fact to find gluten free foods for those individuals who needed them. The bread options were tasteless and crumbly. Snacks were virtually impossible to find and cakes and biscuits that were available were packed full of fats and calories. Fast forward till today and we now have an entire section of major supermarkets dedicated to gluten free foods; gluten free bread options are produced by the major bread makers and it is not uncommon to see gluten free menu options at popular restaurants. Food times are a changing.